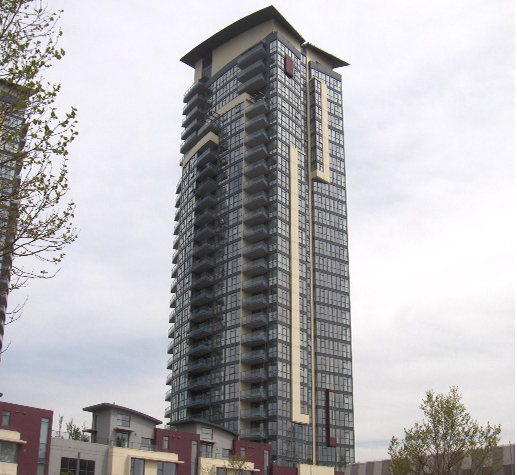 Legacy South at 5611 Goring Street is one of two legacy towers. The other is at 2225 Holdom Avenue. Highrise apartment towers with two and three level live/work homes around the perimeter. Built by Embassy, Legacy Towers offer suites with full height windows, open floor plans, gourmet kitchens and pampering bathrooms. Private balconies in the units have striking panoramic views of the city, North Shore mountains, Mt. Baker and Burnaby Mountain. Complex has secured underground parking, locker storage and a 6,000 sq.ft. facility that includes a fully equipped exercise room, spa, steamroom, sauna, and lounge. Legacy Towers are located close to Holdom SkyTrain Station with parks and recreation nearby.